You've heard it suggested the United States is simply Europe on a 50 year delay. Supposedly most churches will be museums before our grandchildren reach adulthood. Though new numbers from Pew Research released this month point to a decline in American Protestants, no serious scholar believes Christianity in America is on a trajectory of extinction. And, as a Ph.D. researcher and practicing evangelical Christian, I say to those who've read recent reports and come to that conclusion, "Not so fast." You see, many in the U.S. who identify as Christian do so only superficially. These cultural Christians use the term but do not practice the faith. Now it seems many of them are giving up the Christian label, and those cultural or nominal Christians are becoming "nones," people with no religious label. Christian nominalism is nothing new. As soon as any belief system is broadly held, people are motivated to adopt it, even with a low level of connection. Yet, much of the change in our religious identification is in nominal Christians no longer using the term and, instead, not identifying with any religion. In other words, the nominals are becoming the nones. I've seen this in my own family. Growing up in an Irish Catholic community outside New York City, the Catholic Church was the church we didn't go to. Today, I am an evangelical Christian, and I attend church like one, but most of my extended family do not attend church, and don't bother to call themselves Catholics any longer. The nominals became the nones. Furthermore, the cultural value of identifying as a Christian is decreasing. When that happens, those whose connection to Christianity was more an identifying mark than a deeply held belief find they don't need that identity anymore. The label does not matter. When considering why someone does or does not label themselves a Christian, we see three broad ways people identify as Christian. On a survey, cultural Christians mark "Christian" rather than another world religion, because they know they are not Hindu, Jewish, etc., or because their family always has. Churchgoing Christians identify as such, because they occasionally attend worship services. On the other hand, conversion Christians claim to have had a faith experience in which they were transformed, resulting in a deeply held belief. The recent growth in nones, I believe, comes primarily from cultural and churchgoing Christians no longer using a religious identification. The obvious question is why the decline at all and what does the future hold? Some may say this sounds exactly like what has happened in Europe. Well, yes and no. Europe's religious decline happened for different reasons than what we are seeing here -- bloody religious wars and a church/state alliance led to mandated religions which led to distaste and rejection of religion. That's not the case in the United States, and I don't think we will go that path. Yet, there is movement in religious identification that should cause us to consider three ramifications. First, Christians continue to lose what some have called a home-field advantage. Christianity is no longer the first choice of many seeking spiritual meaning, and identifying as Christian is not necessary to be an accepted part of society. Second, the squishy middle is collapsing. It makes less sense to be a cultural Christian today. Better to be spiritual than religious, unless your religion matters to you, as it does to devout Roman Catholics, Protestants and many others. Third, Christianity is not collapsing, but it is being clarified. If you cut through the recent hype, and look to studies such as the General Social Survey, you'll find the United States is filled with vibrant Believers. The survey shows the evangelical movement has remained generally steady from 1972 to 2010 (and, contrary to what you might have heard, the data include young adults), that church attendance has declined among mainline Protestants, and that the nones have increased. But Christianity has not collapsed. Other examples of resiliency abound. Each year, Gallup asks Americans whether they consider themselves a born-again or evangelical Christian. Since 1992, the percentage has fluctuated from a low of 36 percent in 1993 to a high of 47 percent in 1998. The 2011 yearly aggregate is 42 percent, very similar to the percentages over the past eight years. So, Christianity has hardly been replaced by the nones. If not extinction, what then does the future look like? I believe if trends continue the future will look more like the present-day Pacific Northwest. There, we find a majority of the population is spiritual but not religious, yet vibrant churches and devout Christians abound. 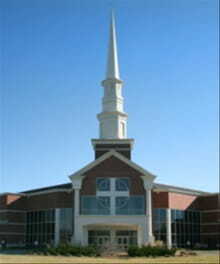 For example, in the Foursquare Church (a mid-size Pentecostal denomination), the Northwest District oversees 150 churches. Fifteen years ago, 66 of those churches did not exist. Those 66 churches alone report 40,000 new believers. Similar examples of such vibrant growth, there and elsewhere, demonstrate the point. So, in an increasingly secular environment we have vibrant congregations. That's the future. It's true that many mainline church buildings in America, like their European counterparts, have converted into shops, concert halls and museums. But I find it telling that churches like Sojourn Community Church in Louisville, Ky., are buying back former cathedrals and filling them anew with vibrant young congregations. Even in the shadow of the decline of cultural and nominal religion, the future of vibrant Christianity in America is all around us. The future of Christianity in America is not extinction but clarification that a devout faith is what will last. Christianity in America isn't dying, cultural Christianity is. I am glad to see it go. Ed Stetzer is president of LifeWay Research. This column is an expanded version of one which appeared in USA Today. Get Baptist Press headlines and breaking news on Twitter, Facebook, and in your email.